There are many countries around the world that offer tax incentives. The formulation of an international tax planning structure requires in most cases the incorporation or establishment of entities in one or more International jurisdictions. Each jurisdiction is distinct from each another and can serve different purposes in a tax planning structure. Centaur Trust offers company formation and management services in the most commonly used international jurisdictions in a way that could assist the evaluation of their functionality for tax planning purposes. The tax and legal regimes of these jurisdictions all have their individual characteristics and applications. Before choosing the jurisdiction and type of company that best suits your needs we advise you to contact one of our offices in order to receive more comprehensive and personalised information. Cyprus is an island in the north-eastern basin of the Mediterranean Sea, at the crossroads of Europe, Asia and Africa. Cyprus enjoys a Mediterranean climate with long dry summers from mid-May to mid-October and abundant sunshine throughout the year. The population is approximately 1,193,632. Greek and Turkish are the official languages of the island but English is widely spoken as well. The currency used in the Republic is the Euro (€). 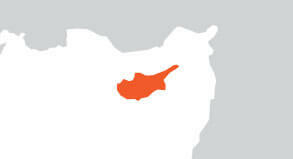 Cyprus became an independent Republic in 1960, adopting a governmental structure modelled on Western democracies. The head of state is the President of the Republic, elected by universal suffrage for a five-year term of office. The Council of Ministers, appointed by the President, constitutes the main executive body of the Republic. Cyprus is a member of the European Union, the United Nations, the Council of Europe, the World Trade Organization, the World Bank, the Commonwealth, and the International Monetary Fund. The name of the company has to be approved by the Registrar of Companies. A name is not accepted if it is misleading. If for example, the name indicates that a company of limited resources conducts a business on a large scale or in a wide area. Names which include any of the following words: NATIONAL, INTERNATIONAL (IN GREEK), REPUBLIC, EUROPEAN UNION, EUROPE, EURO, INTERNATIONAL will be allowed only in special circumstances for sound reasons and with conditions. Names shall not include the word CO-OPERATIVE or the words MUNICIPAL, PRIVILEGED, RECOGNISED or APPROVED. Names which include a name which is not the first name and/or the surname of one of the directors or shareholders shall be allowed only if there are sound reasons for their acceptance. Names which include the following words shall be allowed only if the circumstances justify this: Bank, Banking, Investment, Trust, Insurance, and Broker. A name which is too similar or identical to a name of an existing company (organization) is not allowed. The name of the company has to be approved by the Registrar of Companies, and normally takes 2-4 days. This procedure can be made faster by using the online system of the registrar, in which case it can be done within two days. There is no maximum to any company's authorised share capital and no minimum share capital for private limited companies. The authorised share capital can be denominated in any of the main currencies, though the default currency we use is the Euro. There is no requirement that the fixed amount of each share should be as a minimum of Euro1, consequently any subdivisions of the Euro are possible for the minimum fixed value of a share. Shareholders: For a private limited company, there must be at least one shareholder, who can be a physical person or a corporate entity. A private limited company cannot have more than 50 shareholders. Directors: A private limited company must have a minimum of one Director who can be an individual or a legally incorporated entity. The director(s) can be of any nationality. The law does not require that directors of Cyprus private limited companies should be Cyprus residents. On the contrary irrespective of the country of residency and on whether it is an individual or a legally incorporated entity anyone can be appointed as a director of a Cyprus company. Company Secretary: In accordance the Companies Act every company shall have a secretary and a secretary in a private company can be an individual or a legally incorporated entity. Every company shall, as from the day on which it begins to carry on business or as from the fourteenth day after the date of its incorporation, whichever is the earlier, have a registered office in the Republic of Cyprus to which all communications and notices may be addressed. A company shall keep these records at its registered office. In accordance with the Assessment and Collections of Taxes Law every company shall submit an income tax return (Form IR-4), by the end of the calendar year, following the year of assessment. Located in Western Europe between the North Atlantic Ocean and the North Sea, northwest of France. The population is approximately 63,844,176. The official language is English and the currency used is the UK Pound (£). The legal system used is English law. 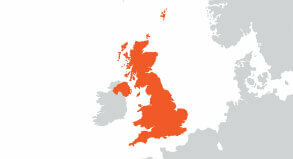 The UK is a constitutional monarchy with an elected parliamentary system headed by an elected Prime Minister. Private company limited by shares: This type of company has a share capital and the liability of each member is limited to the amount, if any, unpaid on their shares. A private company cannot offer its shares for sale to the general public. Private company limited by guarantee: This type of company does not have a share capital and its members are guarantors rather than shareholders. The members’ liability is limited to the amount they agree to contribute to the company’s assets if it is wound up. Private unlimited company: An unlimited company may or may not have a share capital but there is no limit to the members' liability. Public limited company: A public company has a share capital and limits the liability of each member to the amount unpaid on their shares. It may offer its shares for sale to the general public and may be quoted on the stock exchange. Limited Liability Partnership: A Limited Liability Partnership is a form of legal business entity with limited liability for the members. This, however, is different to a limited company. It is incorporated with the aim of running a business with two or more partners. The main difference is that an LLP has the organisational flexibility of a partnership and is taxed as a partnership. Although the vast majority of applicants are able to register their chosen name there are some restrictions that affect the choice of a name. Must not be offensive or contain offensive words or expressions. Cannot be “too like” name (differs from another name only by few characters, signs, symbols but it looks or sounds the same) (e.g. “Dynamics Tech LTD” vs “Dinamix Tech LTD”. Before choosing a name you should use Companies House’s WebCheck service to ensure your chosen name is not the ‘same as’ an existing name in the register of company names. You should also check the Trade Marks Register of the UK Intellectual Property Office to ensure that the proposed name does not infringe an existing trade mark. The approval of names and the incorporation of companies can be done on-line on the same day. Currently there is no restriction on Authorised Share Capital. There is no maximum to any company's authorised share capital and no minimum share capital for private limited companies. The requirement to have an authorised share capital was abolished from 1.10.2009 when the Companies Act 2006 finally came into full effect. Any company registered from that date onwards has no restriction on the number of shares it can issue, unless a limit is set in the company's articles. Companies registered before that date will still be subject to the authorised capital figure in their memorandum and articles until they are amended. The share capital may be divided into different classes and can be denominated in any recognised hard currency. Shareholders: A private limited company must have at least 1 shareholder, who can be a physical person or a corporate entity. There is no limitation on their maximum number. A shareholder can also be a director of the company. Directors: A private limited company must have at least 1 director who should be a natural person. The director should be at least 16 of age, and he/she must not have been disqualified from being a director. The director(s) can be of any nationality. Company Secretary: It is not required for a private company to have a secretary. This is different from a public company, which must have a one with appropriate qualifications. The company secretary can be a director but she/he cannot be the company’s auditor or an ‘undischarged bankrupt’. Finally the company secretary does not need to be resident in the United Kingdom. The registered office must be a physical location where notices, letters and reminders can be delivered to the company. It is where official communications will be sent and it must be in the country that the company is registered. UK companies are subject to corporation tax based upon their accounts, which are submitted to the HMRC and the Companies House at the end of the company's financial year. The online Corporation Tax service can be used to file a limited company’s or organisation’s Company Tax Return with HM Revenue and Customs (HMRC). A company may also be able to use this service to file accounts jointly with Companies House. 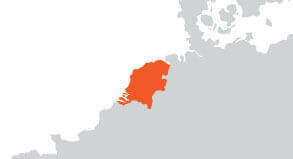 Located in western Europe, bordering the North Sea, between Belgium and Germany. The Netherlands have a population of approximately 16,645,313 The official languages are Dutch and Frisian and the currency used is the Euro. The legal system is based on the civil law system incorporating French penal theory; constitution does not permit judicial review of acts of the States General; accepts compulsory ICJ jurisdiction with reservations. The Netherlands type of government is a constitutional monarchy with an elected parliament. The company most commonly used for international trade and investment is the Besloten Vennootschap or the “BV”. Companies must bear a name ending in Besloten Vennootschap or BV . No company can be incorporated with a name that is identical to, or closely resembles the name of a company already in existence, or a well known name in existence elsewhere. Names that imply illegal activities or that are considered undesirable are also not allowed. Furthermore, names such as bank, building society, savings, loans, insurance, assurance, reinsurance, fund management, investment fund, trust, trustees, Chamber of Commerce, co-operation, council, municipal or their foreign language equivalents, or any name in related to the banking or insurance industries will require approval and/or licensing. Licensing is required for business activities related to banking, insurance, investments, financial services, consumer credit and recruitment. The approval of names takes two to three days, with a further three to four weeks required for the incorporation of the company. The standard authorised share capital is Euro 90,000 and the minimum paid up capital is Euro 18,000. The share capital may be divided into different classes and can be denominated in any recognised hard currency. Shareholders: minimum of one which can be a physical person or a corporate entity. Directors: minimum of one which can be a physical person or a corporate entity. The director(s) can be of any nationality. Company Secretary: This is optional and can be a physical person or corporate entity, of any nationality. A registered office must be maintained within the Netherlands. Companies are liable to pay corporation tax based on annual accounts which are submitted to the tax authorities at the end of each financial year. Companies can choose their own financial year end. Located in western Europe, between France and Germany, Luxembourg has a population of approximately 486,006 The official language is Luxembourgish, whilst French and German are both administrative languages. The currency used is the Euro and the legal system used is based on civil law system; accepts compulsory ICJ jurisdiction. Luxembourg is a constitutional monarchy with a Prime Minister and an elected Chamber of Deputies. The most popular type of company for overseas investments is the 1990 Soparfi Company, which is one of the leading holding companies in Europe. This type of company can also carry out commercial, financial or industrial activities but needs a trading authorisation from the Luxembourg Ministere des Classes Moyennes. The company name must end in Societe Anonyme, SA or AG. No company can be incorporated with a name that is identical to, or closely resembles the name of a company already in existence. Furthermore, names such as bank, building society, savings, insurance, assurance, reinsurance, fund management investment fund, council, municipal, co-operative, in French, German or any other foreign language equivalent will require approval and/or licensing. Licensing is required for business activities related to banking, insurance, and investments. Furthermore, the Soparfi is normally set up as a holding company. If it is to act as a trading company then authorisation is required. Subject to certain criteria, a company can be incorporated in a few days. The standard authorised share capital is Euro 31,000. This must be issued and fully paid up. The share capital may be divided into different classes and can be denominated in any recognised hard currency. Bearer shares are allowed. Directors: minimum of 3 which can be physical persons or corporate entities. The directors can be of any nationality, but for reasons of substance, it is advisable for the majority to be resident in Luxembourg. Company Secretary: This is optional and can be a physical person or corporate entity. A registered office must be maintained within Luxembourg. Companies must keep registers of the company officers (shareholders, directors, company secretaries) and the registered offices at the registered office. The disclosure of the beneficial owner(s) is not required. Companies are required to produce audited annual financial statements which need to be filed and are publicly accessible. Capital Registration Duty of 1% on incorporation and subsequent increases of capital. Domestic tax payers are liable to tax on their worldwide income. Non-resident taxpayers are liable to tax on the income of their Luxembourg permanent establishment. Net worth tax on gross assets (minus liabilities). This can be offset against the Corporate Income Tax liability. Dividends received from a foreign subsidiary, in which the Soparfi has at least a 10% shareholding, which has been held for at least 12 months are excluded from taxable profit. Capital gains derived by a Soparfi from the sale of shares in other companies is excluded from taxable profit, subject to the two conditions in the previous point. Luxembourg has transposed into its legislation the EU Parent Subsidiary Directive. Located in Central Europe, east of France and north of Italy, Switzerland has a population of approximately 7,581,520 The official languages are German, French and Italian, and the currency used is the Swiss Franc. The legal system used is a civil law system influenced by customary law; judicial review of legislative acts, except with respect to federal decrees of general obligatory character; accepts compulsory ICJ jurisdiction with reservations. The government type is formally a confederation but is similar in structure to a federal republic. Furthermore, names such as Bank, building society, savings, insurance, assurance, reinsurance, fund management, investment fund, Switzerland, state, country, municipality, principality, Red Cross require approval or licensing, as well as their foreign language equivalents. Licensing is required for any business activities concerning banking, insurance, assurance, reinsurance, fund management, collective investment schemes or any other related activity. Subject to the approval of the name to be used, by the Commercial Register, a company can be incorporated in approximately ten working days. The standard authorised share capital is CHF 20,000 and the minimum paid up share capital is CHF 20,000. The share classes permitted are only in the form of equity participations. Shareholders: on incorporation the minimum number of founders is two. Directors: minimum of one who must be a Swiss citizen and resident in Switzerland. 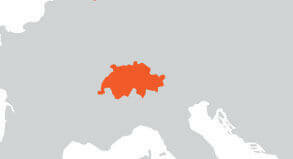 If more than one is appointed the majority must be Swiss citizens and resident in Switzerland. Corporate directors are not permitted. Company Secretary: there is no requirement under Swiss Law for a company secretary to be appointed. A registered office must be maintained in the Canton of incorporation. Companies are required to keep financial records, though there is no requirement to file Financial Statements at the Registry. They must however be filed with the Tax Authorities.Beneficial owners information is available from the commercial register. Bank references on the beneficial owners must be provided to the local representatives/trust management company. Under the constitution the Federal Government has power to conclude treaties and alliances, to levy taxes and to regulate foreign trade. Cantons have their own taxation. Many Cantons have favourable regimes. Located in the Caribbean, between the Caribbean Sea and the North Atlantic Ocean, east of Puerto Rico, the BVI has a population of approximately 24,000. The official language is English and the currency used is the US$. The legal system used is English law. The BVI is a self-governing British Crown colony and has a ministerial system of government operating under a constitution which was adopted in 1967. Any company incorporated under the Act must bear a name ending in one of the following: Limited, Corporation, Incorporated Societe Anonyme, Sociedad Anonima, Unlimited, or any of the commonly used abbreviations of the same. No company can be incorporated under the Act with a name that is identical to, or closely resembles the name of a company already in existence. Furthermore, names such as Assurance, Bank, Building Society, Royal, Trust Company, Trustee Company etc will require justification. Licensing is required for business activities related to banking, insurance, investments and gaming. The approval of names takes 24 hours, with a further 24 hours required for the incorporation of the company. The standard authorised share capital is US$ 50,000, on which an annual government license fee of US$350 is payable. If the authorised share capital is in excess of US$50,000 then the annual government license fee is US$ 1,100. The share capital may be divided into different classes and can be denominated in any recognised hard currency. Bearer shares are allowed but must be held in safe custody by an authorised custodian. A registered agent must be appointed and a registered office must be maintained within the BVI. BVI companies must keep registers of the company officers (shareholders, directors, company secretaries) and the registered offices at the registered office. Public filing of this information is optional. A register of charges must also be kept at the registered office. The disclosure of the beneficial owner(s) is not required. A BVI company is expected to keep such accounts and records as are sufficient to explain the company’s transactions and allow the company’s position to be determined with reasonable accuracy. However, such accounts are not required to be audited or filed with the financial authorities. BVI IBCs are not subject to corporate taxation in the BVI. Malta is located between Italy to the north, and Libya and Tunisia to the south. 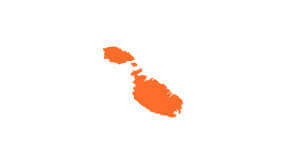 The size of Malta is 316 sq. 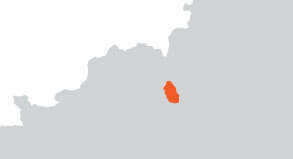 km, with a population of 423,282 in 2013. The capital is the ancient city of Valletta. The two main languages are Maltese and English, with the main business language being English. The time zone is Central European Time (CET). Malta formally entered the European Union in 2004, and joined the Euro in 2008. The companies most commonly used for international trade and investment are the Private Limited Company (Ltd) and the Public Limited Company (Plc). Malta also offers partnerships, in the form of the General Partnership, and the Limited Partnership. Names that are identical or similar to an existing company or any names which are considered offensive are not allowed. Names that imply or require regulation, such as relating to financial services or online gaming are only allowed if the appropriate license has been obtained. Restrictions exist for activities such as banking, insurance, financial services, consumer credit and related services, as well as online gaming. In order for a company to carry on such activities, a license has to be obtained from the appropriate government authority. The approval of names and the incorporation of companies can be done on-line, and normally takes a couple of days. For a public company, the minimum authorized share capital is Euro 46,587.47. Upon the signing of the memorandum, not less than 25% of the nominal value of each share taken up shall be paid. For a private company, the minimum authorized share capital is Euro 1,164.69. Upon the signing of the memorandum, not less than 20% of the nominal value of each share taken up shall be paid. Different classes of shares are allowed, with different rights attributable to each class.. There is no government license fee. The share capital may be divided into different classes and can be denominated in any recognised hard currency. Shareholders: minimum of two (unless the company is a single member/exempted company) which can be a physical person or a corporate entity (for a single member/exempted company, the shareholder must be a physical person). Directors: minimum of one which can be a physical person or a corporate entity. The director(s) can be of any nationality. For a single member/exempted company, the directors must be physical persons. Company Secretary: This is required and must be a physical person, of any nationality. A registered office must be maintained within Malta. Maltese companies must keep registers of the company officers (shareholders, directors, company secretaries) and the registered offices at the registered office. A register of charges must also be kept at the registered office. The disclosure of the beneficial owner(s) is not required, but may in certain circumstances be required for accounting purposes. All Maltese companies are required to file accounts with the Registrar of Companies and the Inland Revenue, as well as an annual return with the Registrar. Under certain circumstances, companies that qualify as small may file so called “abridged accounts”. Under Malta's tax system, the total income from all sources, including capital gains, is aggregated. Exemptions and allowances are deducted and the final income is taxed according to the rates applicable. Companies are taxed at a flat rate of 35%, certain types of investment income is taxed at source at 15% and transfers of immovable property in Malta at 12% of the transfer value. Malta operates a full imputation system of taxation, whereby upon a distribution of profits from the company to its shareholders, the shareholders are entitled to claim tax refunds of the tax paid by the company. The amount of the refund varies according to the source of the profits from which the distributions are made. Located in Eastern Asia, bordering the South China Sea and China. 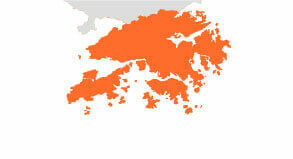 Hong Kong has a population of approximately 7,018,636. The official languages are Chinese and English and the currency used is the Hong Kong Dollar (HK$). Hong Kong’s legal system is based on the rule of law and the independence of the Judiciary. Its constitutional framework for the legal system is provided by the Hong Kong Basic Law. The Hong Kong Special Administrative Region legal system is based on English common law, supplemented by local legislation.Hong Kong Basic Law is similar to the common law systems used in English Canadian provinces. Hong Kong is a Special Administrative Region of the People’s Republic of China. However, Hong Kong has a high degree of autonomy and its government is financially independent from the Central People’s Government in Beijing, with responsibility for overseeing the affairs of Hong Kong. Companies incorporated in Hong Kong are established under the Companies Ordinance Chapter 32 and are Private Companies Limited by Shares. Any company incorporated in Hong Kong must bear a name ending in Limited or Ltd. No company can be incorporated with a name that is identical to, or closely resembles the name of a company already in existence. Furthermore, names such as Bank, Trust etc will not be permitted. Hong Kong companies cannot undertake banking or insurance activities, nor can they solicit funds from or sell its shares to the Public. The approval of names takes 24 hours, with a further 10 -12 working days required for the incorporation of the company. The standard authorised share capital is HK$ 1,000, on which an annual Business Regsitration Fee of HK$ 2,600 is payable. The share capital may be divided into different classes. Bearer shares not are allowed. Shareholders: minimum of one who can be a physical person or a corporate entity. Directors: minimum of one who can be a physical person or a corporate entity. The director(s) can be of any nationality. Company Secretary: This is mandatory and can be a physical person or corporate entity, but must be located in Hong Kong. A registered agent is not required but a registered office must be maintained within Hong Kong. Hong Kong companies must keep registers of the company officers (shareholders, directors, company secretaries) and the registered offices at the registered office. Public filing of this information is required. A register of charges must also be kept at the registered office. A Business Registration Certificate must also be kept at the registered office. The disclosure of the beneficial owner(s) is not required. Hong Kong companies are required to keep audited financial statements, which are submitted to the Inland Revenue, but are not on public record. Profits are taxed on a territorial basis, and apply to income derived from business carried on in Hong Kong. Onshore activities are taxed at a rate of 17.5% on net profits. There is no tax on capital gains, dividend or interest income. Also, there is no withholding tax except on royalties paid.